Part two of the speaking tour for Nadia Duran in April 2018 was in the land of opulence, Dubai. 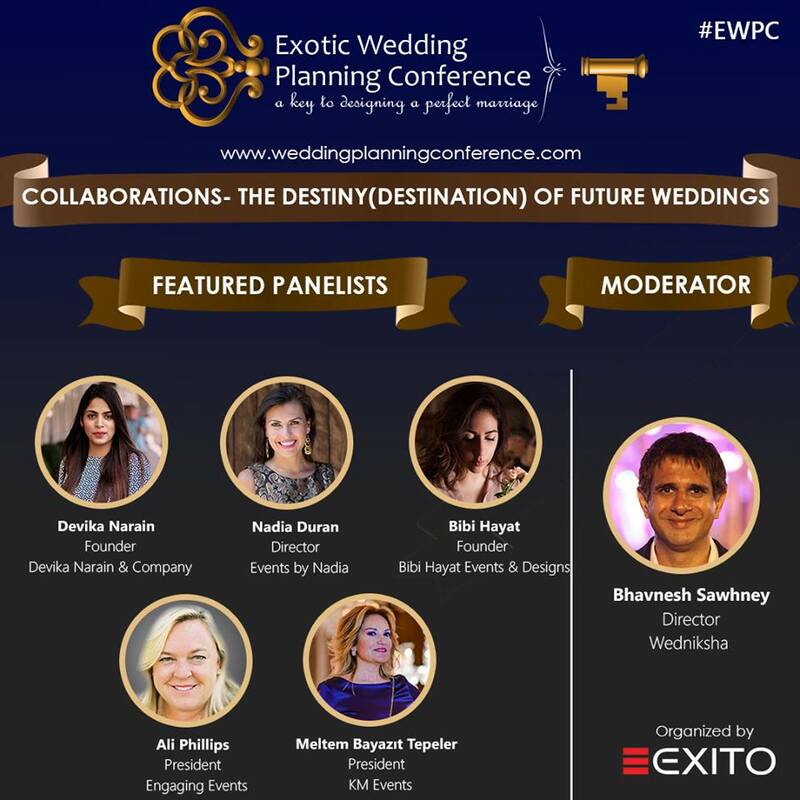 One hundred and fifty guests from 50 different countries converged to Palazzo Versace Dubai to attend the Exotic Wedding Planning Conference, where the focal point is “The Destiny of Future Weddings”. On the panel discussion were representatives from all corners of the globe: India, Kuwait, Turkey, the US, and of course Australia with Nadia Duran flying the Aussie flag. The industries represented are the very lifeblood of what makes a successful wedding come together: planners, designers, caterers, photographers, with all the representatives from these fields at the very top of their game, and all enthusiastic and ready to impart information to the info-hungry crowd. The two day event was not a workshop or masterclass - far from it! Instead it was intended to feel like a collaborative affair for attendees, where knowledge was imparted but learning new techniques they could apply was also at play. Guests left full of tips they could apply to their businesses immediately, but not before a gala dinner at the Four Seasons Hotel in Dubai. At this event, Nadia Duran donned a Diane Lewis Couture gown to die for, before yet another memorable milestone happened: Nadia was one of only 30 people invited and handpicked from this event (and the only one from Australia) to then attend the Atlantis Hotel in Dubai, giving Nadia a tour of the opulent and extravagant site, as a possible blueprint venue for upcoming international weddings for Events By Nadia. Surprises seem to follow Nadia: it was here Nadia witnessed firsthand a romantic wedding proposal in front of a crowd who are used to romantic gestures on a grand scale. 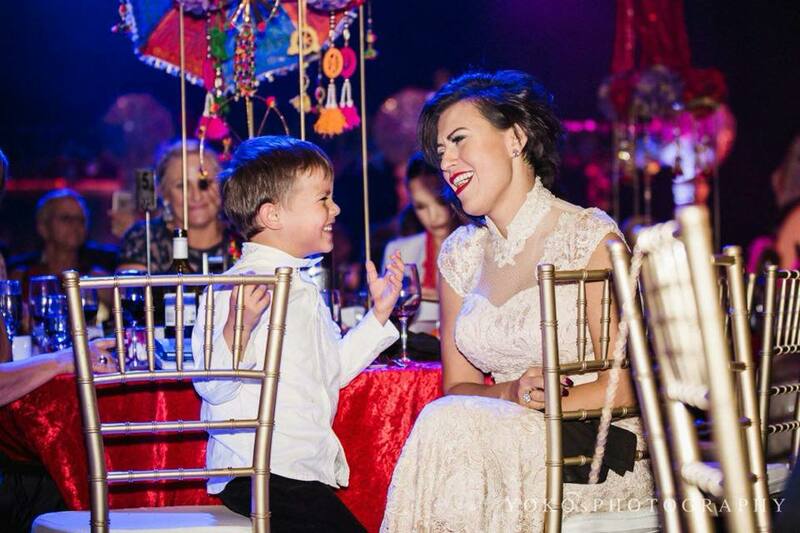 Overall, the event again served to demonstrate to Nadia that her presence as a speaker is sought in the arena of international wedding and event forums. It’s this knowledge Nadia then crystallises and imparts to her clients, which will always make Events By Nadia ahead of the curve, putting on grand scale parties people talk about perpetually. The first stop of the packed schedule for Nadia Duran during her April 2018 trip was as keynote speaker at the Karen Tran masterclass called “The Floral Experience”, which took place in Sorrento, Italy. The three day event, filled with floral designers from around the world who wanted to sharpen their skills at a ticketed event in the most beautiful setting possible - at the world famous Grand Hotel Excelsior Vittoria in Sorrento - meant that learning wad done in the prettiest way possible, with Nadia adding her infectious, engaging brand of learning to the very receptive audience. Nadia spoke about all the important elements of being an event producer: sales, marketing, operations, business management, and finances. As any business owner knows, the ‘back end’ of business is crucial to get right in order for a business to be successful, and Nadia spoke confidently about sales and how to drive leads; how to make marketing work for an events business; the mechanics of operations; the art of business management including managing a team; and the all important element of budgeting both for your own business, and for brides and corporates. Over the next two days at the Sorrento event Nadia was available for conversations and questions about the content she expertly delivered, and eager ‘students’ took Nadia up on the generous offer. 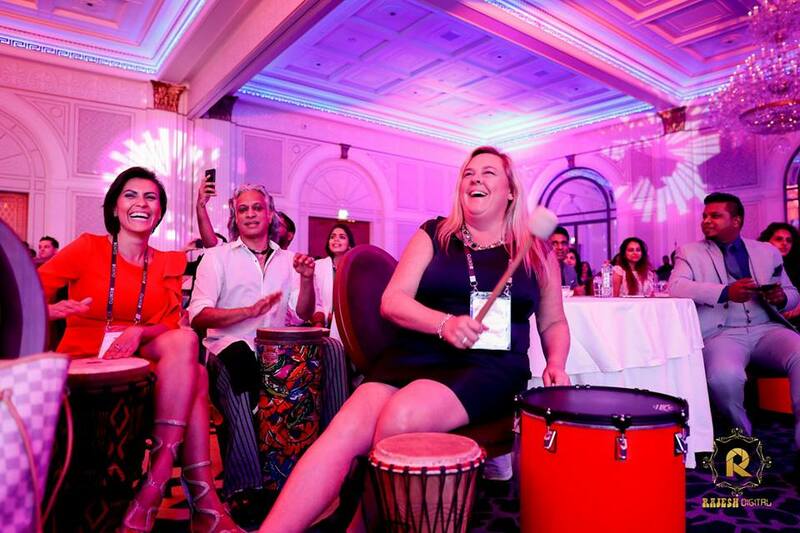 By the end of the three days, all in the room knew all there was to know about managing all the elements of a successful event styling business. The event was photographed by @detitophotography - and photos here are of Nadia in action, speaking at the event. The event also saw the expertise of @biancobouquetweddings and @gettingmarriedinitaly imparted to attendees - and it was these respected experts who organised the whole event in Sorrento. 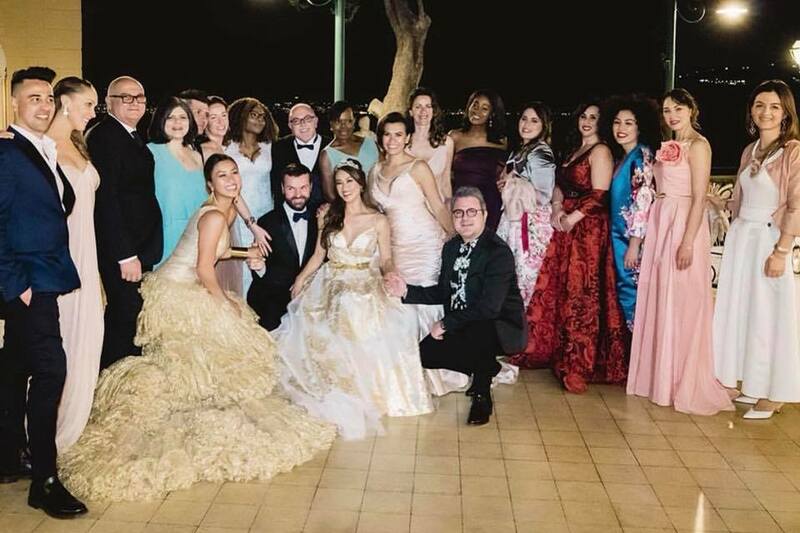 On the final night of the masterclass, a beautifully styled gala dinner took place, where Nadia attended in a spectacular Diane Lewis Couture gown. The enthusiasm of the attendees and their feedback to Nadia that her original content was of huge benefit ensured it was also a career highlight for Nadia.